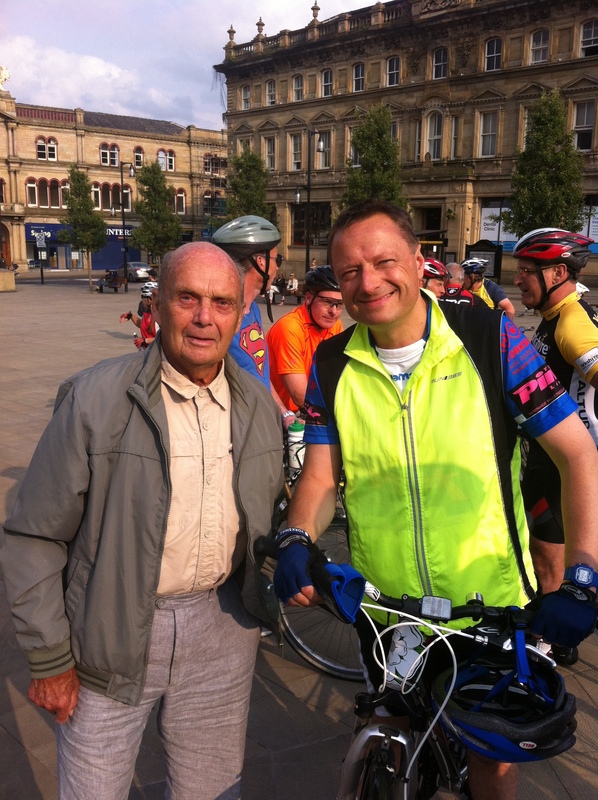 Jason joined 200 cyclists including Tour de France legend Brian Robinson (below) for a bike ride to pay tribute to cycle safety champion John Radford. John was badly injured a year ago while cycling in New Mill and is still recovering from head injuries. The ride from St. George’s Square to New Mill aimed to help raise awareness of cycling safety.